Huisman, a Dutch specialist in lifting, drilling and subsea solutions, has secured a new contract from Helix Energy Solutions Group, Inc. for the delivery of a Well Intervention System onboard Helix’s new build Semi submersible “Q7000”. The fully integrated 800mt Well Intervention System will be capable of handling the Intervention stack, the high pressure riser and other components. The Huisman Multi Purpose Tower has the same functionality as a normal derrick but offers improved accessibility to the well center, which allows for new improved handling procedures that increase efficiency and safety. The superior accessibility to the well center and the small footprint of the MPT are ideally suited for well intervention and subsea installation services. Subsea equipment can be skidded into the well center from three sides, offering enhanced flexibility. The active heave compensation hoist system of the MPT provides excellent means for safe landing of equipment at the seabed while the passive heave compensation system provides a safe and redundant means to supply top tension to the risers. A guide trolley, travelling the entire length of the tower, guides the subsea modules during lifting operations. The system also features multiple transfer hatches that can be used to move equipment into the well center, and a skiddable work floor covering the moonpool flush with main deck. The skiddable work floor allows large subsea modules to be deployed, without the need for a raised work floor. When large objects need to pass the moonpool the work floor can be skidded aside. In closed position, the work floor is flush with the main deck, which significantly reduces HSE risks and improves equipment handling on deck. In addition to the Well Intervention System Huisman will also supply a 150mt Knuckle Boom Crane and a 160mt Pedestal Mounted Crane. Previous orders from Helix, amongst others, the Multi Purpose Tower onboard the “Q4000”, “Well Enhancer” as well as the cranes for the “Q4000” and “Q5000”. Sembcorp Marine’s subsidiary Jurong Shipyard has secured a US$346 million contract to build a second semi-submersible well intervention rig for Helix Energy Solutions Group, Inc. (Helix), a market leader in subsea well intervention services. Scheduled for delivery in mid-2016, the semi-submersible light well intervention rig will be built based on a design jointly developed by Sembcorp Marine Technology Pte Ltd (SMTP), a fully-owned Research & Development subsidiary of Sembcorp Marine, and Helix. Featuring the latest technology, the rig – named Q7000 by Helix – is an efficient purpose-designed platform with capabilities to perform a wide variety of tasks, including conventional and extended top hole drilling, subsea construction, decommissioning well intervention, coiled tubing operations and twin ROV deployment. The Dynamic Positioning (DP) class 3 unit has the ability to operate in deepwater operations worldwide, including the North Sea and West of Africa. The above is not expected to have any material impact on the consolidated net tangible assets per share and earnings per share of Sembcorp Marine for the year ending December 31, 2013. The contract is expected to provide Island Innovator with minimum of two years of drilling operations offshore Norway with commencement in the 2nd quarter of 2013 plus options for 3×4 additional wells. The value of the initial contract period is expected to be around USD 370 million including mobilization and moving the rig to Norway. 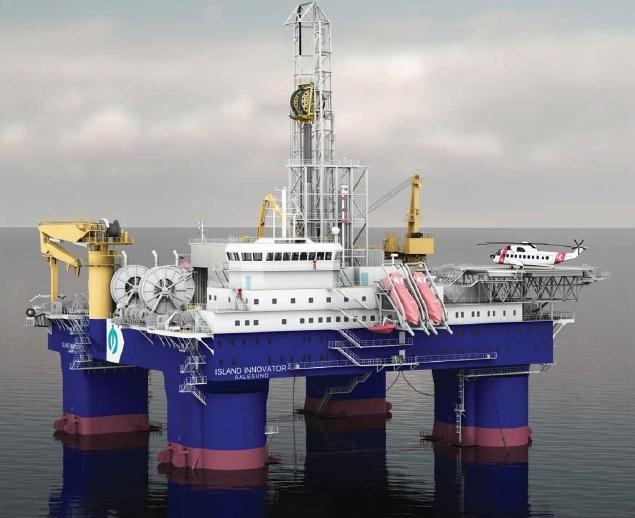 Maracc is scheduled to take delivery of its new build semisubmersible drilling and heavy well intervention rig in the 3rd quarter 2012 from the Cosco Shipyard Group in Nantong, China. The rig will be operated by Odfjell Drilling AS. Simen Lieungh, CEO of Odfjell Drilling said “The operation of Island Innovator will be an important contribution to Odfjell Drilling’s activity on the Norwegian continental shelf. The contract between the owner Maracc and Lundin Norway AS will mean greater predictability for Odfjell Drilling and our operations in Norway. We will need around 170 employees to operate the rig. The construction of Island Innovator is being completed at Cosco Shipyard, Qidong in China. Odfjell Drilling has mobilised a follow-up team at the yard that will ensure progress and the quality of the remaining work. The rig will fly the Norwegian flag and will have an Acknowledgement of Compliance (AOC) for mobile installations from the Petroleum Safety Authority Norway. 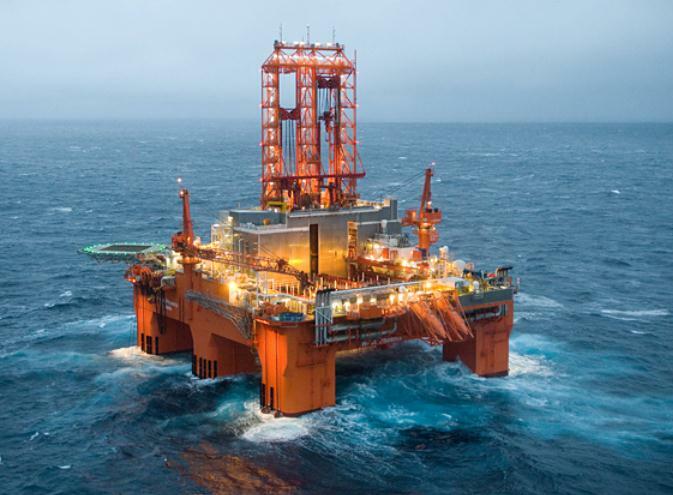 Seadrill, one of the world’s largest drilling contractors, has ordered a new harsh environment semi-submersible drilling rig from Hyundai Samho Shipyard in South Korea. The company explained the move by the current strong demand for high specification drilling units and Seadrill’s wish to benefit from such market conditions. The new rig will be a sister rig of the harsh environment semi-submersible unit Seadrill’s subsidiary North Atlantic Drilling currently have under construction at Jurong Shipyard in Singapore. It will be of a Moss CS60 design, N class compliant and will be able to meet the harsh and demanding weather conditions in the North Atlantic areas. In addition, the new rig will have premium ultra deepwater capabilities including water depth of up to 10,000 feet. 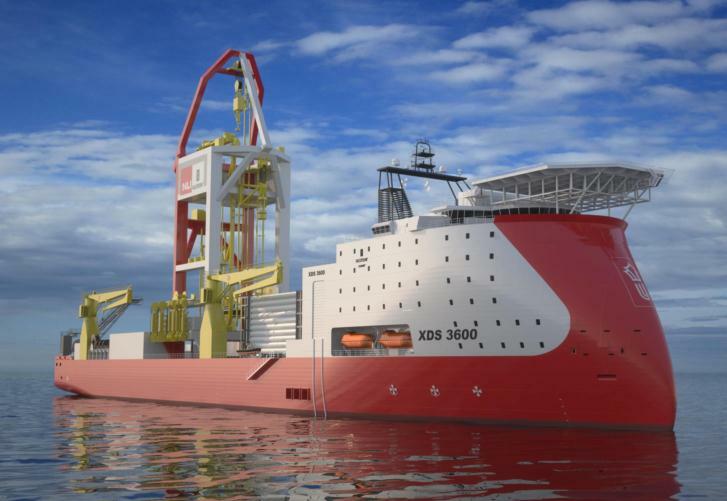 The rig is scheduled for delivery in the fourth quarter 2014. Total estimated project costs is less than US$650 million including a turn key yard contract with a back-end loaded payment structure. In addition, Seadrill has agreed a fixed price option for one further unit from the yard. Seadrill has already received charter interest in the firm unit. With the strong demand Seadrill feels it is likely that the option will be exercised. However, a final decision will not be taken before August 2012. Seadrill’s construction program now totals 18 units, including 6 drillships, 2 harsh environment semi-submersibles, 5 tender rigs and 5 jack ups. In addition to the rigs under construction, Seadrill also controls several fixed price options at various yards.